The stamp set that I'm featuring today is called Enjoy Life and it has a great masculine feel to it. 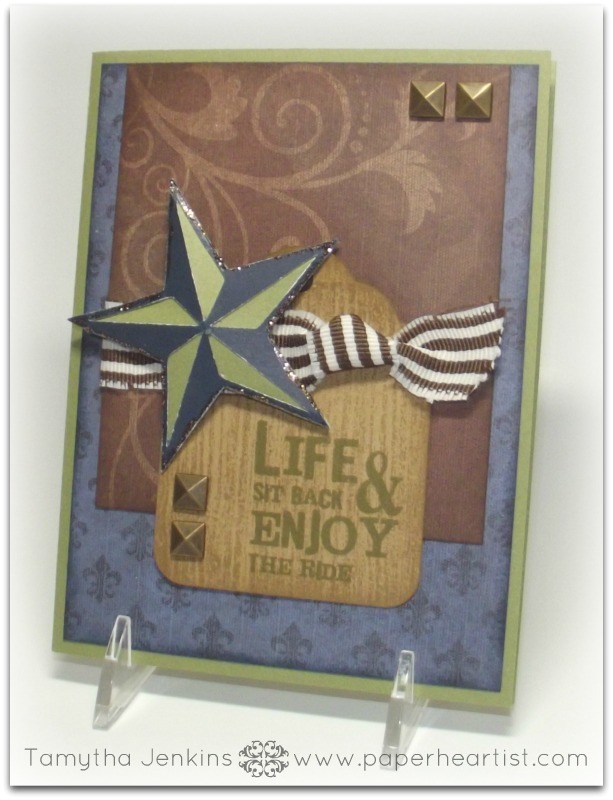 The first creation was a card that I created for one of my cards workshop and then recreated for the card swap at Convention. You can read more about this creation on this post. 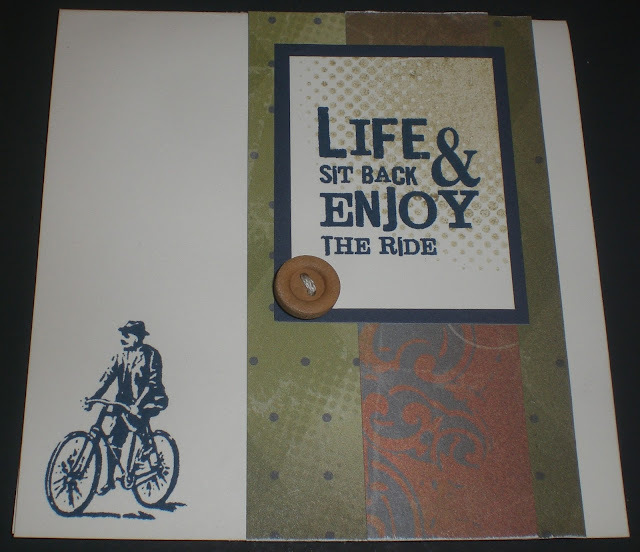 This was a layout we did in my scrapbook workshop that was cased from Helen Onulak who lifted the left page from the idea book. This was a card suggested by Close To My Heart for a home gathering project. If you'd like to own this stamp set or any others, head on over to my website. And remember, there's a special going on right now. Make a $35 purchase and get the "Whooo's Your Valentine" Kit. Learn more about that offer here. Love your card. I pinned it! 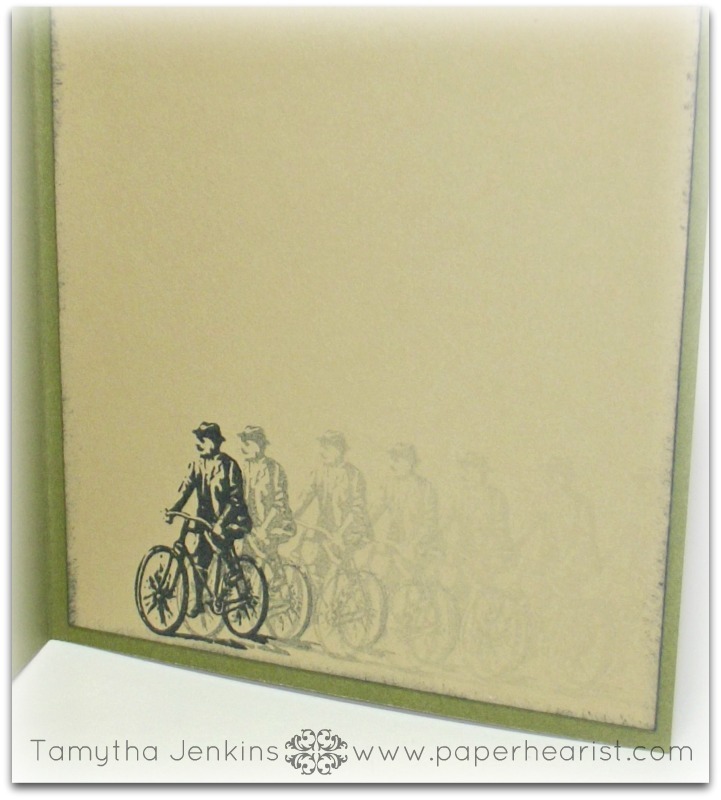 May have to design something like it for this month's workshop to say farewell to the paper pack & that stamp set. I'll give you credit for it if and when I post it to my blog. This is a great card, and the projects are wonderful, too. This was a great, versatile stamp set.